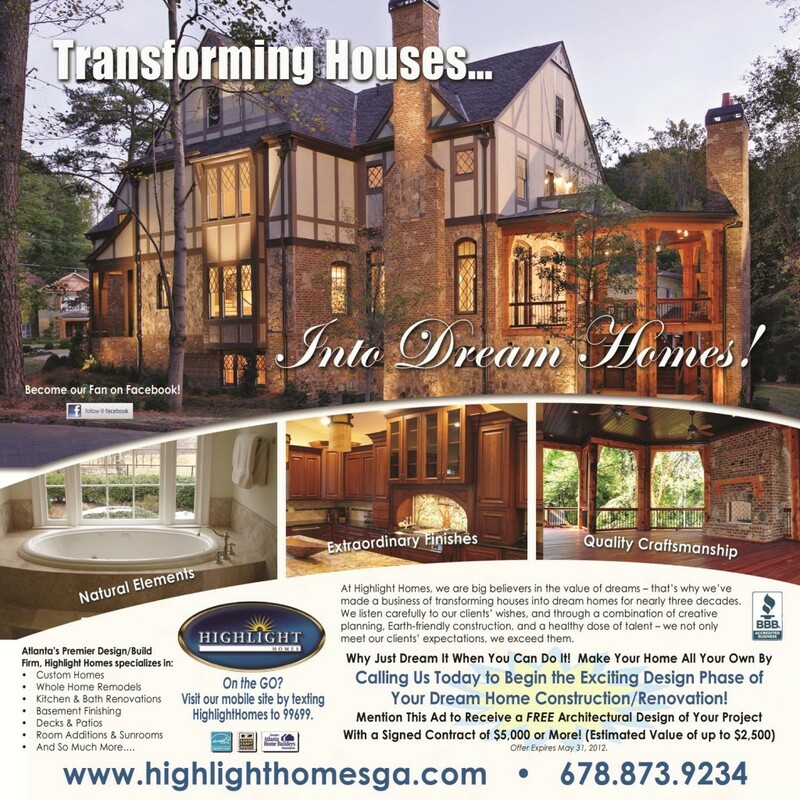 Over the course of the last decade, Highlight Homes has built a solid reputation in Atlanta for our dedication to excellence in custom home construction and quality home renovations. We are often called upon by homeowners who wish to build room additions, create new living spaces, or update the interior of their current home. Some of our most discerning clients will look to us to design and construct the custom home of their dreams. Like many other businesses across the nation, we’ve witnessed undeniable changes to our industry in response to a sluggish economy. We at Highlight Homes have become very good at rolling with these changes. One of the more prominent trends is the number of foreclosure properties on the market. On a positive note about this sad trend, homebuyers are able to purchase incredible properties at bargain basis prices. Unfortunately, some of these homes may have fallen into a state of disrepair before foreclosure, and many new homeowners wish to make their new home uniquely their own. That’s where we come in. Through well-planned, affordable renovations and repairs, their new house can become something they can call “home sweet home” in no time. That’s why Highlight Homes has elected to take part in the “Welcome Home” Campaign. At the heart of this campaign is a “welcome home” folder filled with important information for the new homeowner – including contact information for Highlight Homes and a list of our services (see inset). These folders will be distributed to real estate office all over Atlanta. We look forward to working with the homeowners who contact us to initiate kitchen and bath renovations, finish their basement, build a deck, add a sunroom, and a wealth of other home improvements and repairs to their new home. If you fall into this category or you simply feel you’re ready for a change at your current home, we invite you to contact us by calling 678.873.9234, e-mailing us at info@highlighthomesga.com, or filling out our convenient online contact form. To learn more about Highlight Homes, we welcome you to visit our website at www.highlighthomesga.com where you can meet the members of our team, discover our ever-increasing list of services, and view our portfolio online. To stay up-to-date on the latest Highlight Homes news, “like” us on Facebook, follow us on Twitter, and/or sign up for our monthly e-newsletter, The Highlight Homes Herald.